Edmund Sullivan, the son of the artist, Michael Sullivan, was born in London on 6th September 1869. He was educated at Mount St Mary College in Sheffield. He studied art under his father and in 1889 became a staff artist at The Daily Graphic. While working at the newspaper he met fellow cartoonist, Phil May. 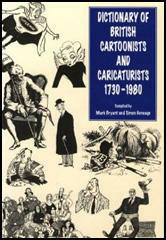 He also contributed drawings to The Pall Mall Gazette, The Windsor Magazine and Punch Magazine. 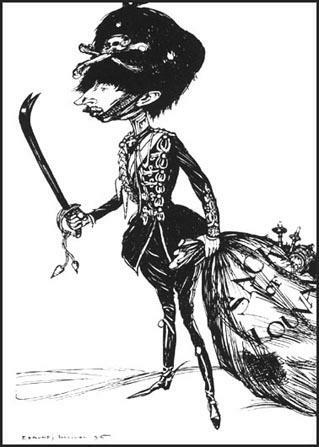 Books illustrated by Sullivan included Tom Brown's Schooldays by Thomas Hughes (1896), The Pirate by Walter Scott (1898), The Rivals by Richard Brinsley Sheridan (1896), A Modern Utopia by H. G. Wells (1905) and The French Revolution by Thomas Carlyle (1910). 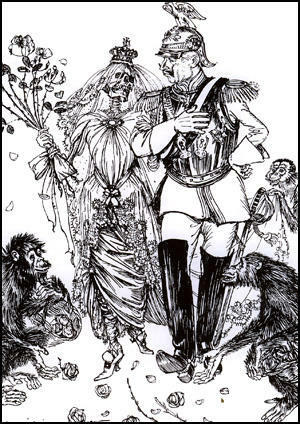 After news of German atrocities in Belgium and the execution of Edith Cavell, Sullivan produced a book of drawings called The Kaiser's Garland (1915). Similar in style to the work of Louis Raemaekers, Sullivan's book was used as part of the First World War propaganda campaign against Germany. One critic described the book as a "whole-hearted hymn of hate... the venom is often overdone and one feels sometimes more disposed to laugh than to share the hatred and anger." 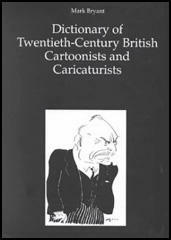 Sullivan taught book illustration and lithography at Goldsmiths' College and in 1921 he published the influential book, The Art of Illustration. Edmund Sullivan died in London on 17th April 1933.